It is not unusual for the estate of a deceased person to hold stock as an asset. Stock can take the form of shares held in a publically traded company, such as Target, or shares in a cooperative corporation. Clients often ask us how such shares can be transferred after a person passes away. This post will answer the question. First, it needs to be determined whether the person had a Will. If there was a Will, there may have been a specific bequest of the stock. This takes the form as follows: “I give all shares that I may hold at the time of my death in Target to my daughter.” If the stock is not addressed specifically, then the residuary clause of the Will manages its disposition. Anything not specifically addressed is left to the party receiving the residuary. If the person did not have a Will, then the rules of intestacy would dictate who would receive the stock. In New York, Section 4-1.1 of the Estates Trust and Powers Law governs the situation. For instance, if the closest surviving person to the deceased is a child, then the child would inherit the stock under New York law. Whether there is a Will or not, a Probate or Administration proceeding in the Surrogate’s Court would need to be conducted. At the conclusion of such a proceeding, the fiduciary is appointed by the Court who can complete the stock transfer according to the Will or the laws of intestacy. The fiduciary would need to contact the transfer agent for the asset. 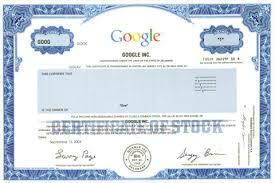 For example, the stock brokerage may need to be contacted for the transfer of Target stock. In a cooperative corporation, either the managing agent or the cooperative’s attorney would conduct the transfer. In either case, documents and information will need to be provided to the transfer agent as may be requested prior to the transfer being made. Such documents requested may be the Will, death certificate and document appointing the fiduciary. The manner in which title is held may also determine how stock is to be transferred after death. Some investment houses allow assets to be titled payable on death to a particular person or joint tenants with right of survivorship, meaning that the asset may be able to be transferred without a Surrogate’s Court proceeding. However, some transfer agents will not allow assets to be transferred without the involvement of the fiduciary appointed by the Surrogate’s Court. If the original stock certificate has not been located to deliver to the transfer agent upon the title transfer, provisions can be made. Stock pertaining to cooperative apartments also has the issue of occupancy. A cooperative board may permit a particular person to own the shares pursuant to an estate proceeding, but may not allow such person the take occupancy of the apartment pursuant to the proprietary lease. Our attorneys routinely participate in transactions involving cooperative apartments and can counsel parties accordingly. We look forward to assisting you in stock transfers as your needs warrant.